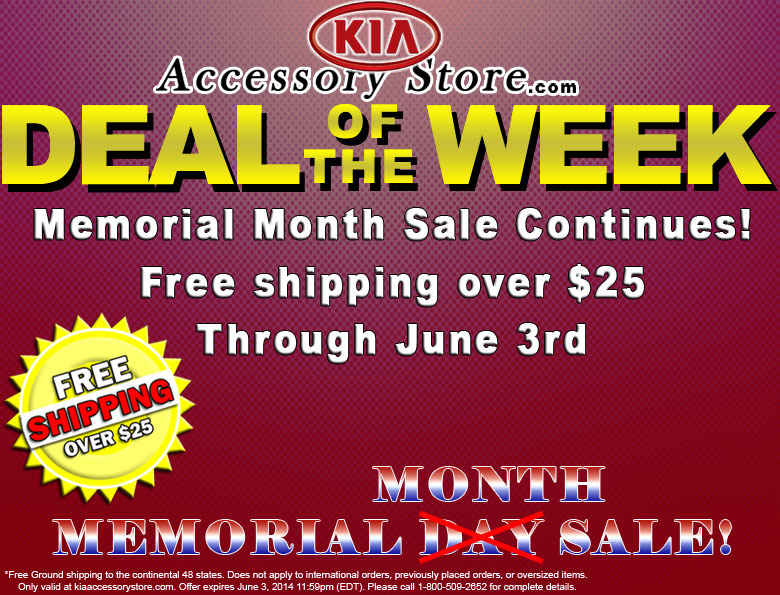 Kia Accessory Store's Deal of the Week - Memorial Month Sale Continues! Offer expires June 3, 2014 11:59pm (EDT). Please call 1-800-509-2652 for complete details. *Free Ground shipping to the continental 48 states. Does not apply to international orders, previously placed orders, or oversize items.